Love is worth celebrating all month long. 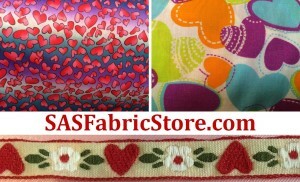 We have adorable heart fabric, trims, and decorations here at SAS Fabrics. Dress up your home with love and affection.